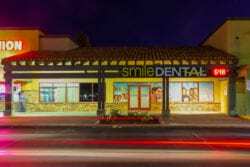 Your comfort and overall dental experience are important to our team at Smile Dental Group. We employ the latest dental technology and methods to ensure the needs of our patients are met. Our goal is to help each of our patients improve their oral health and achieve a healthier smile. We understand there is a multitude of factors that may prevent both adults and children from visiting the dental office. Routine visits to the dentist are essential to maintaining a healthy smile. However, when factors like dental fear prevent you or your child from getting the dental care you need, it may be time to ask about sedation dentistry. At Smile Dental Group we offer a full range of dental sedation options to help ensure optimal comfort and relaxation during your visit to our dental office. We work with you to understand your needs and determine the best of sedation for you. We may recommend oral conscious sedation or nitrous oxide. For children with dental fear or anxiety, dental sedation can be a safe, practical way for your child to receive the dental care they need. Our team will examine the need of your child and determine the best form of sedation for them. 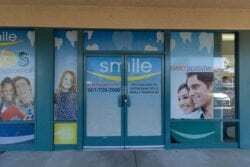 The safety, comfort, and well being of our patients is important to our dental care team at Smile Dental Group, so we work with you to meet your unique needs. At Smile Dental Group, we offer a safe, relaxing environment for patients of all ages to receive the dental care they need. We provide comfortable amenities to help you and your child experience a stress-free and fear free office visit. We understand that dental fear and anxiety can be traumatic for some younger patients, so we work with your child to help make their dental visit as positive as possible. In some cases, you or your child may need dental sedation to make the most out of your visit. We offer a full range of dental sedation options that may be tailored to match each patient’s needs. Nitrous Oxide: Nitrous oxide, or laughing gas, is administered through a nasal mask and allows patients to remain relaxed and comfortable throughout their treatment. Nitrous oxide is the most common form of dental sedation and can be used for patients of all ages. Once the nasal mask is removed, the effects of nitrous oxide goes away, almost immediately. Oral Conscious Sedation: Oral conscious sedation is administered in the form of a pill that is taken prior to your scheduled appointment. Patients who undergo oral sedation must schedule a safe form of transportation to and from our office. If you are administered oral sedation you cannot drive yourself home. The Wand: The Wand is a revolutionary tool that delivers anesthesia is a controlled, safe way. The Wand, also called CompuDent®, is a computer-controlled injection device that produces a steady flow of anesthesia, ensuring a slower, more comfortable numbing process during each use. This form of sedation eliminates the need for needles or masks, which can strike up fear in patients with dental fear/anxiety or younger patients.